No matter how healthy your diet is, many modern eaters are lacking in essential nutrients. If you want to thrive on a plant-based diet, consider these supplements for vegans and vegetarians. Whether for health, ethical, or environmental reasons, hundreds of millions of people are basing their diets around plant foods. A whole food, plant-centered diet offers tremendous advantages, including reduced risk of heart disease, cancer, diabetes, obesity, dementia, and many other ailments, according to research. But due to the realities of our modern times, a large number of plant-based eaters aren’t getting specific nutrients from plant foods. And failure to get these nutrients can cause serious consequences. Many people think a healthy diet should supply all the nutrients you need for optimal health. And that is basically true. But the reality is, our topsoil is depleted and has lost much of its mineral content. Our food is often grown with chemicals. And many of us today have less exposure to sun or dirt than our ancestors could have imagined. Therefore, see why it’s necessary to consider if the following supplements for vegans and vegetarians make sense for you, whether you follow a plant-based diet or not. Why Do Some People Fail to Thrive on A Plant-Based Diet? Maybe you’ve heard about people who gave up animal products and felt tired and had low energy. Or you’ve heard about doctors telling their patients they need to eat animal products because plant-based foods lack critical nutrients necessary for good health. The reality is, nutrient deficiencies can create severe short and long-term health problems, including increasing the risk for heart disease and cancer. If you want to live a long life with good health and to look and feel as good as possible, you need to pay particular attention to five nutrients on a plant-based diet. These are important for all modern eaters but especially for people who base their diets on plant foods. Let’s take a look at these supplements for vegans, vegetarians, and plant-based eaters one at a time. Vitamin B12 is an essential nutrient for human health, but it’s only found naturally in dirt and animal products. Of course, most people prefer not to eat dirt. But does that mean you need to eat animal products to get this crucial nutrient? Does the fact that B12 is only in dirt (and animal foods) mean we maybe shouldn’t be vegans or vegetarians? Here’s the truth: Animals don’t make B12. They get it from the dirt they eat. Soil bacteria in the guts of animals make B12, meaning the B12 comes from the soil, not the animals. In the last few generations, the way that humans grow, process, and prepare food has changed. Historically, by eating “dirty” vegetables from the earth or foraging foods from the wild, humans ingested B12. But now, with modern growing and washing practices, dirt is no longer a viable source of B12 for most of us. Vitamin B12 prevents nerve damage, protects the heart, and supports your overall energy level and immune system. If you remain deficient in B12 for many years, you could develop anemia and neurological issues. For vegans, vegetarians, and people eating a plant-based diet without any animal products, if you’re not supplementing with B12, research shows you have a danger of ending up being deficient. B12 deficiency can be a danger to people who eat animal products, too. In fact, studies estimate that somewhere between 20 to 40% of people around the world have a B12 deficiency. And in developing countries, the number is as high as 70 to 80%. Even meat eaters are often deficient in B12 because the vitamin isn’t always getting absorbed by their bodies. Therefore, it’s likely a good idea to get your B12 levels checked annually — and to take a supplement regularly. Consuming foods fortified with B12 is one way to supplement with B12. Some non-dairy milk and nutritional yeast products are fortified with it. But these fortified products typically contain low doses of this vitamin. And if you don’t consume them daily, you may not be getting enough. All in all, it’s probably best to take a B12 supplement — especially if you’re vegan, vegetarian, or plant-based. Another important thing to consider is that our ability to absorb B12 decreases as we get older. This means everyone needs to be concerned about their B12 intake, especially older adults. How much should you take? The official RDI in the United States is 4 mcg per day. But Food Revolution Expert Joel Fuhrman, MD, and many other leading medical experts recommend getting at least 100-200 mcg per day to meet this essential need. Vitamin D is known as the sunshine vitamin because the only way to get it naturally is by exposing your body to sunshine. While our ancestors lived outdoors and didn’t wear much clothing, in the modern world, this has changed. Today, most people work indoors and wear clothes much of the time. As well, many of us live in northern climates with low levels of sunshine, particularly in the winter months. A vitamin D deficiency is the most common vitamin deficiency in the world today. In fact, an estimated 40% to 60% of the world’s adult population don’t get enough vitamin D.
Vitamin D performs many functions in our bodies, and its importance can hardly be overstated. A study published in the Journal of Neurology demonstrates why getting enough vitamin D is essential for good health. The research showed a 53% greater risk of dementia and a 70% higher risk of Alzheimer’s disease among subjects who had a moderate vitamin D deficiency. And this is only the latest of many studies finding the extraordinary importance of getting enough vitamin D.
Getting enough vitamin D can help you stay well and protect you from getting colds and flu. A study published in the British Medical Journal in 2017 showed how people who had optimal vitamin D levels and who took vitamin D during the winter had lower rates of flu than people who received flu vaccines. What About Vitamin D in Foods? Vitamin D is naturally present in very few foods. The flesh of certain fatty fish and some fish liver oils contain small amounts of vitamin D. It’s fortified foods, such as fortified milk products, that provide most of the vitamin D in the American diet today. 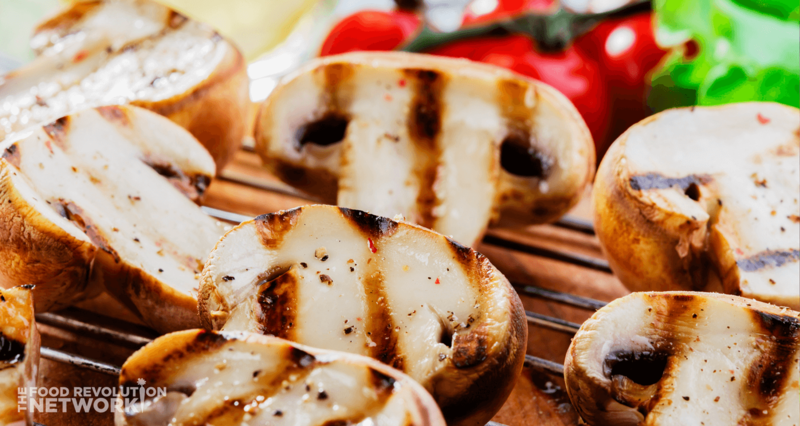 Mushrooms can contain vitamin D. Some mushrooms today have their vitamin D content boosted with ultraviolet light. But it’s difficult to know if the mushrooms you’re eating have enough vitamin D, and you’re probably not eating them every day. As a general rule for most people in today’s world, eating foods that are fortified with vitamin D and taking supplemental vitamin D is critical — particularly in winter. It may be a good idea to have your blood tested for vitamin D levels every once in a while. One test you may want to consider is the 25-hydroxy vitamin D test, which can measure if you’re getting too little or too much vitamin D (because too much vitamin D can be harmful). Many experts recommend that you aim for a blood level between 30 and 50. For most people who don’t get a daily dose of about 20 to 30 minutes of direct sun exposure, a daily dose of 2,000 IUs of vitamin D3 will ensure you get the right amount. And you can also perform an easy self-test for vitamin D deficiency right now. Here’s how: Press your thumb into your sternum. That’s your breastbone. Press there with your thumb with moderate pressure. If you experience discomfort when you push with a moderate amount of force, you may have a vitamin D deficiency, and you might want to get checked. Most studies seem to indicate that vitamin D3 may be more effective and more beneficial to your body than vitamin D2. But until recently, most of the vitamin D3 on the market was from animal sources. Now, it’s possible to find vegan D3 supplement options. The three primary Omega-3 fatty acids are ALA (alpha-linolenic acid), EPA (eicosapentaenoic acid), and DHA (docosahexaenoic acid). All three are critical to human health. DHA, in particular, is a primary structural fat in the human brain and eyes, representing about 97% of all omega-3 fats in the brain and 93% of all omega-3 fats in the retina. DHA is a major structural component of the cerebral cortex, the part of the brain responsible for memory, language, creativity, emotion, and attention. Having adequate levels of DHA, in particular, can protect you from age-related mental decline, and significantly reduce your risk of dementia and Alzheimer’s. Seniors with higher levels of DHA are 47% less likely to develop dementia and 39% less likely to develop Alzheimer’s compared with seniors who have low levels. Can You Get Omega-3s from Foods? Some plant foods have ALA. EPA and DHA are found mainly in fish and certain algae. The human body can convert ALA to EPA and DHA, though the efficiency of conversion varies from person to person. Some people may do just fine if they eat plenty of ALA. Others seem to benefit from some direct form of DHA or EPA — whether from fish or fish oil or an algae-based supplement. The commonly recognized plant foods highest in ALA are flax seeds, chia seeds, canola oil, camelina oil, walnuts, and hemp seeds. EPA and DHA are primarily found in salmon, anchovies, herring, sardines, and other fatty fish – as well as in specific forms of algae. On purely health grounds — not factoring in sustainability and ethical concerns — there’s a case to be made for consuming some amount of wild, low mercury, high omega-3 fish, such as sardines, herring, and wild salmon. But fish don’t make omega-3s. They get them from the plankton and algae that they eat. And many fish and fish oils also carry toxins, like mercury. You can find versions of fish oil that have been molecularly distilled. Or you can get algae-based supplements that don’t carry the toxins at all. 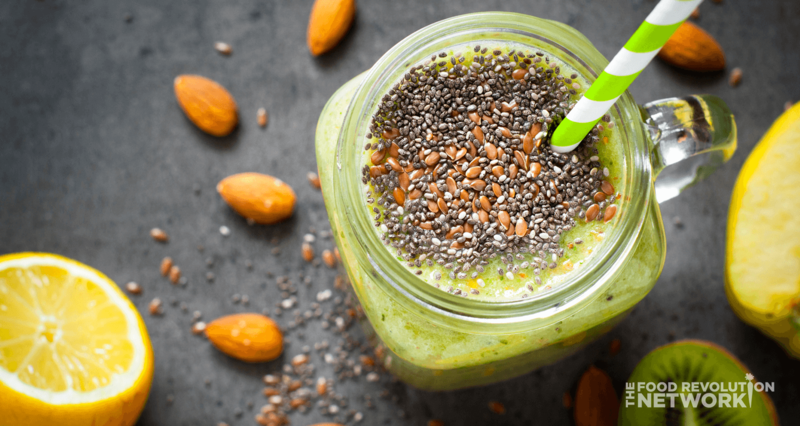 What About the Omega-3s in Chia and Flax Seeds? Chia seeds and flax seeds, in particular, have abundant ALA, which the body can convert to EPA and DHA. (Remember: It’s important to grind or crush the seeds so your body can get the beneficial nutrients.) Walnuts and hemp seeds also provide ALA. But whether you’re getting enough depends on the amount of ALA you’re consuming, your conversion efficiency, and your body’s particular needs. Considering how critically important EPA and DHA are to human health, supplementation is probably a good idea for most people – and especially for those who don’t eat consistent amounts of salmon, sardines, or other high-fat fish. How much do you need? There’s no official recommendation, but most experts suggest a minimum of 250-500 mg combined EPA and DHA each day for healthy adults. K1 is found in plants, especially green, leafy vegetables. K2 is lesser-known and harder to obtain in our modern diets. It’s found in dairy products, in egg yolks, and in some fermented foods. Vitamin K2 is important because it’s associated with reduced bone loss, reduced risk of hip and bone fractures, and reduced rate of osteoporosis. K2 is most effective when combined with vitamin D to promote strong bones and a healthy heart. Our bodies can convert K1 to K2. But it’s uncertain how much is being converted, and our bodies produce less K2 as we age. K2 supplements are widely recommended, and they may be especially beneficial for people who don’t consume dairy products or fermented foods on a regular basis. 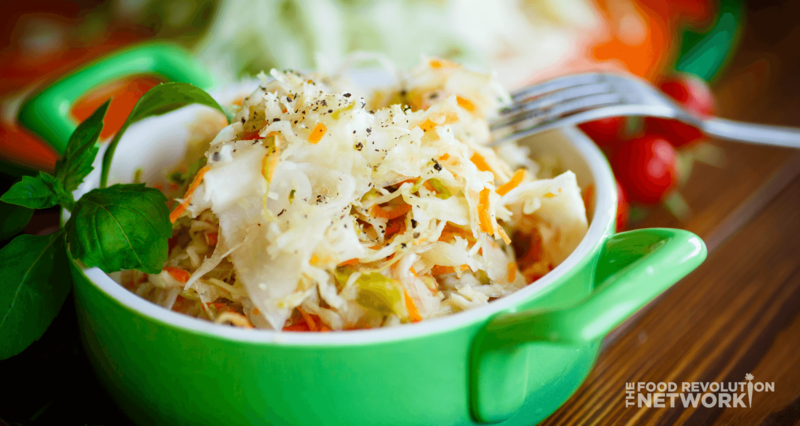 Plant-based sources of K2 include sauerkraut, kombucha, kimchi, and natto. Because there’s widespread variance in how efficiently humans convert K1 to K2, many experts recommend that adults aim to take approximately 100 mcg of K2 per day. It’s necessary for your body’s immune system to work properly. It also plays a role in cell growth, wound healing, and breaking down carbohydrates. It’s also been found effective in helping to fight the common cold. Plant foods, such as beans and legumes, nuts and seeds, oats, and nutritional yeast, are good sources of zinc. But the zinc in plant foods is sometimes bound to phytates, making it more difficult for the body to absorb this nutrient. 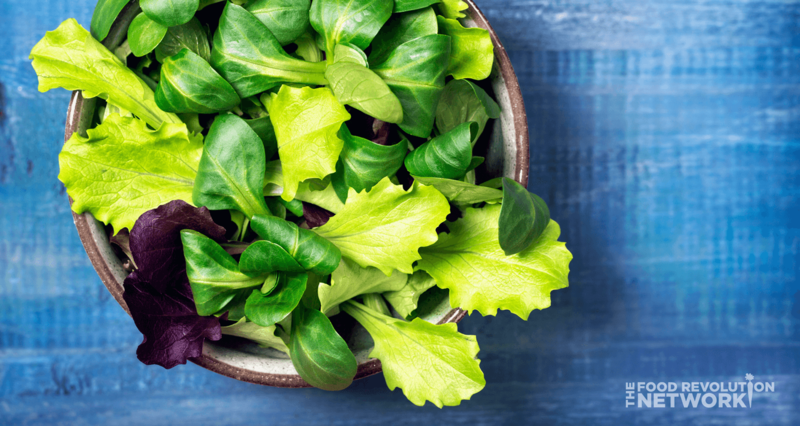 Soaking and sprouting can help reduce the phytates, but even then, many plant-based eaters struggle to get the optimal amount. And keep in mind that zinc absorption typically decreases as you age. The reality is, many vegans, vegetarians, and plant-based eaters may be deficient in their zinc levels. Supplementing with zinc may be the best option for plant-based eaters — and often for older adults in general. How much should you take? For most adults, 11-13 mg per day is generally the recommended supplemental dose of zinc. A diet based on whole plant foods will give you an abundance of most of the micronutrients and macronutrients you need to thrive. But you still may need to consider supplementing with a few nutrients. When you cover these bases, you optimize your chances of enjoying a long, vibrant, and fabulous life. Fortunately, taking these supplements can be easy. And compared to the cost of disease, remarkably affordable. Let us know in the comments: Was this article informative or useful for you? Was there anything you wish we’d addressed that we didn’t — or that you want to know? If you’re eating a predominantly plant-based diet or you want to, the three nutrients you need to be most concerned about are vitamin B12, vitamin D3, and EPA/DHA. 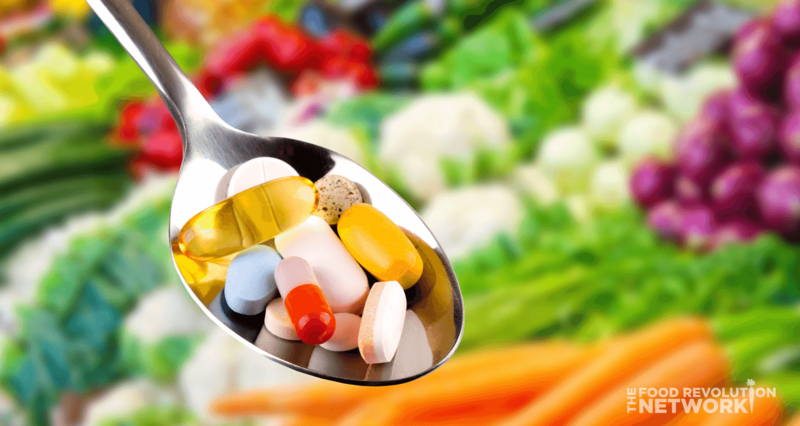 Meeting your needs for these nutrients through supplements can be costly and confusing. But that’s why we’re excited about a new product called Complement. This supplement is made for plant-based eaters. It’s made with organic, non-GMO, and vegan ingredients. It’s free of gluten and artificial fillers, additives, and preservatives. It has the right amount of the important nutrients your plant-based diet may be lacking — and nothing more. And it’s a spray, which makes it easy to take directly in your mouth or to add to foods — without any capsules, fillers, or other junk. If you’re interested, find out more about this product here. Note: If you make a purchase, you’ll be supporting your health as well as Food Revolution Network.